I am an avid reader and on a normal day you will find piles of books on the coffee table beside the couch (and normally on the other half of the couch too). I can currently count 10 books, 3 cook books and 3 magazines within reach and I know there are a few more on reserve at the library. 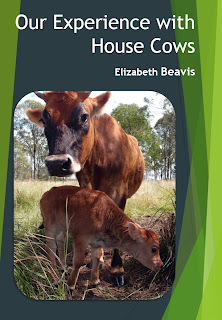 In addition to the other books that I have read over the past week I have also read this fantastically practical e-book 'Our Experience With House Cows' by Liz Beavis from over at Eight Acres. We do not own a house cow as we made the decision to move back to New Zealand a couple of years ago and will obtain a house cow then. However I grew up on a 10 acre farm where we milked a house cow both by hand and then on a small milking machine designed for either 1 or two cows, so I have some experience with the routines of managing a house cow. Liz provides a complete novice with a good understanding of the basics of owning and managing a house cow without over complicating it and making the whole prospect seem overwhelming. At the same time she emphasises the fact that owing a house cow is a commitment that requires some dedication and is not something that should be treated as a passing fancy. This eBook is well set out and easy to follow and takes you on a journey through the different aspects of owning house cow. From buying a house cow and getting her in calf through to the birthing and beyond, Liz provides the reader with enough of the basics to get you well on you way as a new house cow owner. The information about milking schedules and managing the process of having enough milk for yourself as well as for the calf demonstrates that there are ways to own a house cow and not be tied to a twice a day milking routine. Liz references other books to go to for additional information and provides some excellent ideas on how to use up all your milk. I would recommend this book as a great place to start if you are considering getting a house cow and have very little experience as Liz has provided plenty of information in a glossary so that after reading this you will be talking the talk in no time at all. If you would like to purchase a copy of Liz'z book you can click here to access her house cow ebook blog where you will also find other information related to the subject. Do you think you will have a house cow in NZ. 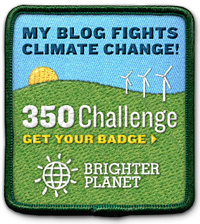 Ive just re-read some of your NZ post and wondered if you are on target, timewise. What an excellent review. Almost makes me wish we could keep a cow, but it's goats for us. I think the best informational resources are from folks like Liz, who have their sleeves rolled up and are into the nitty-gritty of the thing. Give the world the best you have, it may never be enough; give the world the best you have anyway. You see in the end, it is between you and God; it was never between you and them anyway. Autumnal Equinox and Full Moon ..... !!! We Bought an Organic Farm! I am a married 30 something who is keen on living a simple life. At home we focus on eating real unprocessed foods, we use natural remedies when required and try to be as self reliant as possible. I am a keen cook, fledgling farmer, avid reader, soap maker and enthusiastic gardener. Back in 2009 my husband Randall and I moved from the middle of Brisbane Australia out to the country so that we could live a simple, uncomplicated life away from the constant pressures of consumerism. But after 5 years we wanted to escape the heat and be closer to my family so we have moved to my home country of New Zealand where we are setting up a homestead from scratch. 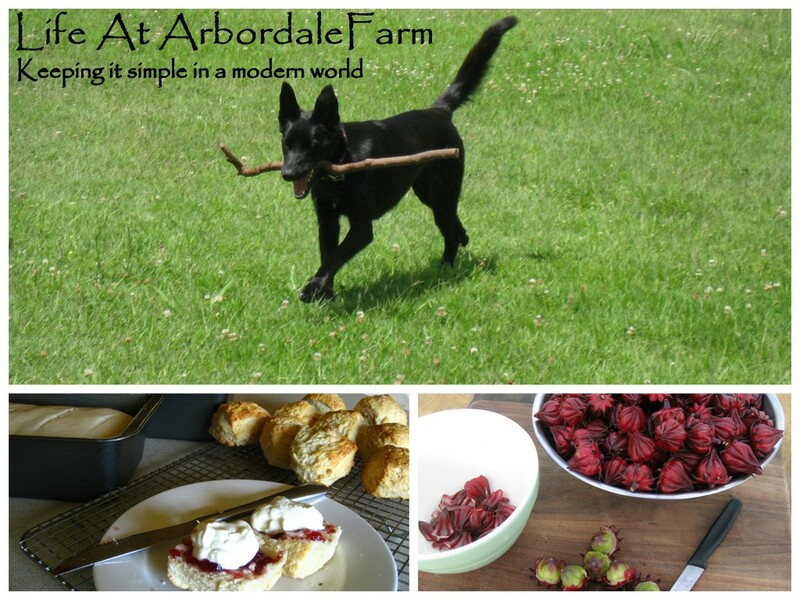 We are joined on this adventure by our little boy Kingsley and our 7 year old dog Jessie as we homestead New Zealand style. Have You Heard Of Prebiotics?